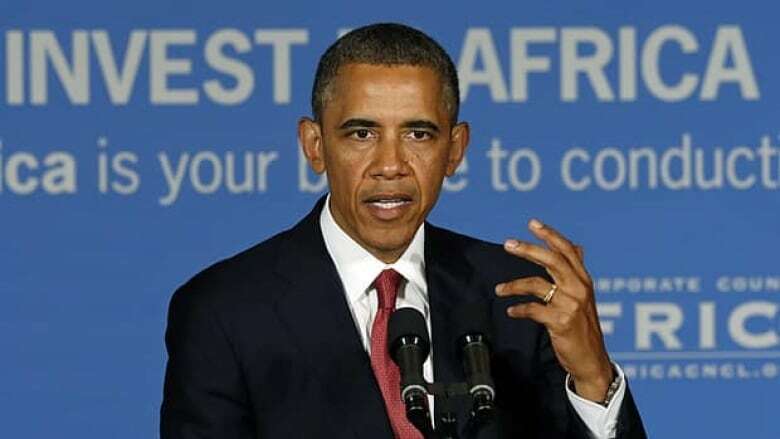 When U.S. President Barack Obama wraps up an African tour today, it will mark the end of what some international development experts say is an attempt to counter China's growing influence throughout sub-Saharan Africa and assert American economic dominance on the continent. When U.S. President Barack Obama wraps up an African tour today, it will mark the end of what some international development experts say is an attempt to counter China’s growing influence throughout sub-Saharan Africa and assert American economic dominance on the continent. China surpassed the U.S. in total trade in sub-Saharan Africa in 2009, but its increasingly strong economic ties took root in 2000, when then-Chinese president Hu Jintao hosted representatives from 44 African nations in Beijing to establish the Forum on China-Africa Co-operation. 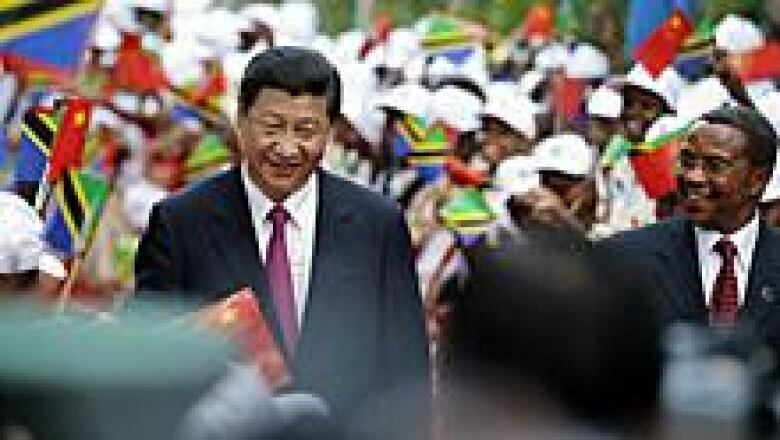 That meeting "set a mandate for China to become Africa's largest trading partner," says Richard Poplak, a Johannesburg-based Canadian author and journalist writing a book about China’s growing role in Africa. It was also an early sign that the Chinese viewed economic opportunity in Africa through a different lens than their American counterparts. "What the Chinese did that no one else had done before was that they considered Africa as a market — a market for Chinese goods, institutions and services — when the rest of world viewed Africa as an economic basket case and a place for aid programs,' says Poplak. While the U.S. focused on global security following the attacks on Sept. 11, 2001, Chinese firms began shoring up major contracts throughout the continent that ensured access to Africa's vast resource wealth in exchange for the funding and construction of infrastructure projects like roads, railways and airports. China also emphasized multilateral agreements with entire regions of sub-Saharan Africa — agreements the U.S. has largely avoided in the past, says Thomas Tieku, an assistant professor at the Munk School of Global Affairs at the University of Toronto. "The U.S., in many senses, miscalculated their approach to Africa. It has always been to focus on bilateral relationships— select a few countries and deal solely with them," says Tieku. "Now they're playing a catch-up game to try to establish equally strong relationships with multilateral institutions like the African Union." 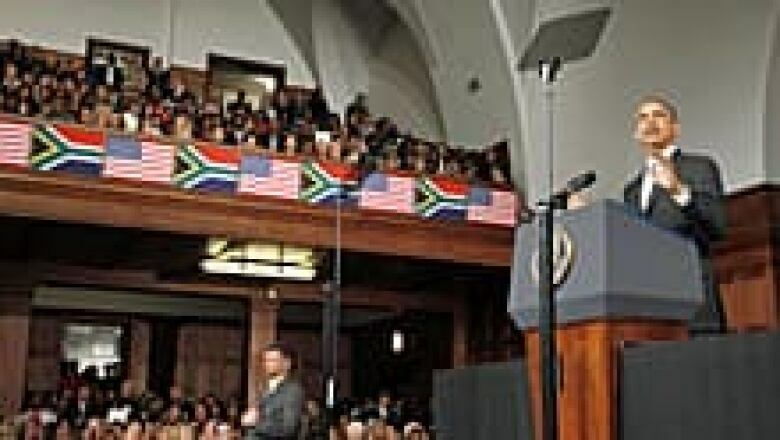 Obama’s three major announcements during the trip — a $7-billion project to increase electrical infrastructure in sub-Saharan Africa; an investment in trade with the East African Community (EAC); and a meeting in Washington with leaders from throughout Africa next year, are signs of a shifting U.S. approach to business in Africa, says Tieku. "One area where China cannot compete with the U.S. is soft power. Many Africans love American pop culture, and the best way to get a pro-American message to Africans is through televisions, radios and the internet. "So the infrastructure investment will help Africans, but also the U.S. down the road." The agreement with the five EAC nations signals that the U.S. is willing to begin dealing on the regional level to increase intra-continental trade, which accounts for only 10 per cent of all trade in Africa, says Poplak. Included in that deal is a commitment to renew and strengthen the Africa Growth and Opportunity Act, a major initiative passed by the U.S. Congress and signed by President Bill Clinton in 2000 to help open sub-Saharan economies. The act is largely considered a failure because the infrastructure was not in place to get African products to global markets, says Tieku. "With new infrastructure coming into place, being built every day, it's possible AGOA will realize its potential." China's approach leaves it effectively unhindered in its approach to business outside its borders. "The Chinese will come into a country and in practical terms it doesn’t matter who is running the country," says Poplak. "It doesn't matter what system of government your country uses, it doesn't matter what you did last week. They will come in and do business." But, says Poplak, the Chinese business is not always "above board or unaccompanied by what the Chinese would call the culture of gift giving, euphemistically, but it certainly respects African agency in a way that the West never, ever has and still doesn't." The Chinese model of a state-run economy has gained more popularity with African leadership since the financial crisis of 2007-2008, says Poplak. "Many African policy makers are just not interested in hearing about the power of the free market any more." The struggle between the U.S. and China for economic allies throughout Africa is often touted in the media as the newest Cold War. Deborah Brautigam, director of the International Development Program at Johns Hopkins University and author of The Dragon’s Gift: The Real Story of China in Africa, says that in reality, China's push to secure trade relationships within Africa is an extension of a foreign policy focused on continued growth with partners throughout the world. "They're not doing this to counter the U.S., they are doing it because it fits into their vision of themselves as a major player," says Brautigam. "They need resources in Africa but moreso they need African support and diplomatic partnerships." Foreign policy observers see those diplomatic partnerships as key to China's long-term influence on world geopolitics, particularly within the UN Security Council. "There are 54 countries on the continent and China has formal relationships with 50 of them. You really do want that block on your side," says Poplak. Despite targeting many of the same growing economies, such as Tanzania, for partnerships, Brautigam says that U.S. and China are trading in different commodities. "The Chinese are going into a lot of manufacturing in Africa and trading in export goods that are generally low-tech, while the U.S. still commands the high-tech sectors. The conflict between them is overblown — there is room for both the U.S. and China to do business in Africa," says Brautigam. Poplak says that neither the U.S. nor China views this as a zero sum game, and that each player will find a place. "By 2050 there will be two billion people in Africa. Somebody has to feed them, somebody has to clothe them, somebody has to entertain them and somebody has to transport them. The rhetoric will soon die down and business will start focusing on how much room there is for expansion."